The Brahms wind project in New Mexico is just one part of a symphony of wind projects BayWa r.e. Wind LLC has developed across the American Southwest—with more to come. The Brahms Wind Farm—named after famous German composer Johannes Brahms—is playing sweet music for both the project developer, BayWa r.e. Wind LLC, and local municipalities near Grady, New Mexico. As BayWa's wind energy portfolio grows, the sounds of turbines are growing into a symphony across the American Southwest. With the Brahms 20-MW project, BayWa r.e. benefits from the income it derives from a 20-year power purchase agreement (PPA) with the Western Farmers Electric Cooperative, while local county schools and the city of Grady benefit from the company's participation in a Payment in Lieu of Taxes (PILOT) program over two decades. The project consists of 12, V82 Vestas wind turbines located on 3,600 acres. Production from each turbine is rated at 1.65 MWs. Before the end of 2013, BayWa r.e. also acquired the 15-MW Anderson Wind Project from Compass Energies, located 160 kilometers southwest of the Brahms project, in Chavas County, New Mexico, which is expected to begin construction this spring. Both New Mexico projects will qualify for the federal Production Tax Credit (PTC). The Brahms project was completed within just three-and-a-half months, starting in October with completion in January 2014, thanks to considerable advanced and detailed engineering work conducted by the project's construction contractor, Signal Energy Constructors. The company was already working with the previous owners, National Renewable Solutions, on what was then known as the Broadview project. Through its unique "preconstruction value engineering" service, Signal Energy had investigated the best options, which will provide BayWa r.e. with long-term energy production with the least amount of short-term capital costs, without compromising quality. This preconstruction work helped cut several months off the project design and construction timeline. What also helped move the project ahead quickly once the change of project ownership took place last July is that Signal Energy already had considerable experience working with BayWa r.e. on other wind farm projects, including the Mozart project in Texas. Florian Zerhusen, BayWa r.e. 's CEO, says the main ingredients that attracted them to the project were the wind resource and that it was possible to nearly complete the project by the end of 2013 because of the preconstruction work done by Signal Energy. This area of New Mexico is in the prime wind corridor that sweeps from Texas to the Canadian province of Manitoba. "We understand the wind regime in this area of New Mexico," Zerhusen says. "It is consistent, generates a high capacity factor, coupled with good access to transmission and off-take." San Diego-based BayWa r.e. has five wind projects either in production or under construction in the United States and habitually names its projects after famous composers; other projects have names such as Chopin, Mozart, and Wagner. BayWa r.e. 's parent company is BayWa AG, a multinational company headquartered in Munich, Germany, with interests in energy, agriculture, and building materials. 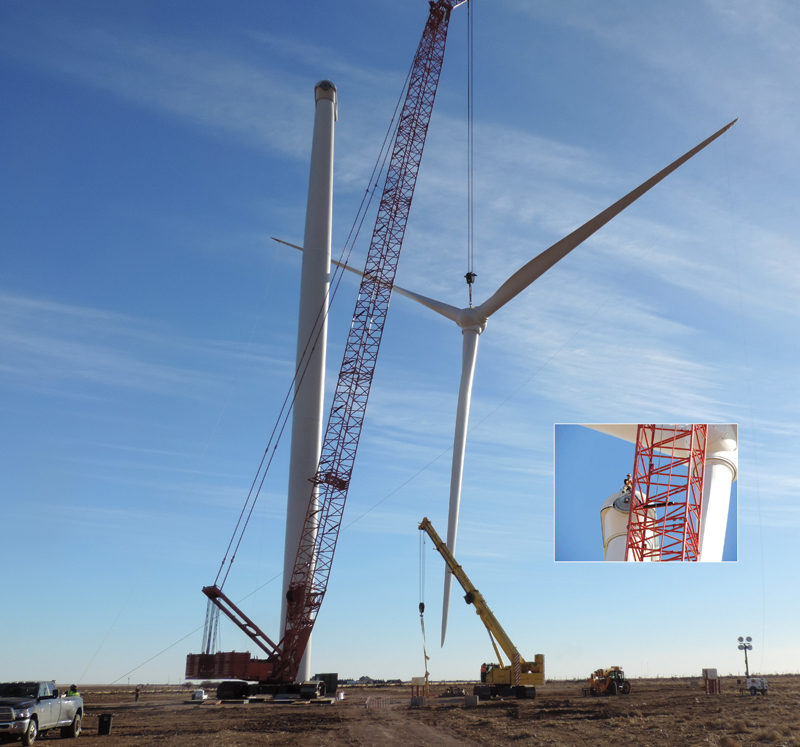 Its first wind project in the U.S. was the 63-MW Snyder project in Texas completed in 2007, on which Signal Energy also performed the civil and electrical construction work. "That project is very unique because it is the first and only project in the U.S. where the towers have a height of 105 meters," says Zerhusen. "They are the tallest wind towers ever built in the U.S." The 21 towers were designed at that height to capture more energy due to the favorable shear factor. Vestas 3.0 MW turbines were used on the Snyder project. 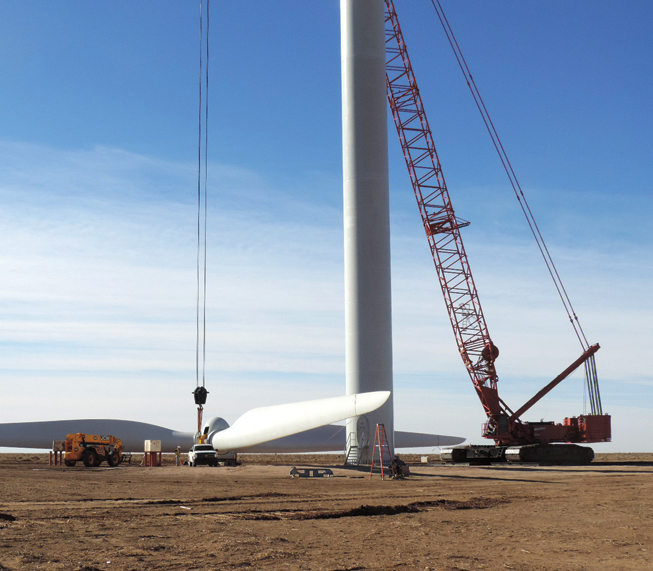 The Brahms wind project was completed in just three-and-a-half months—starting in October 2013 with completion in January 2014—thanks to considerable advanced and detailed engineering work conducted by the project's construction contractor, Signal Energy Constructors. Ben Fischer, CEO of Signal Energy, says the Brahms wind energy project will not only provide a predictable amount of power over the two decade lifespan of the PPA, it will also provide an important measure of power grid stability to the region as a new source of energy. The fact that Brahms was a smaller, 20-MW project made the tie-in to the power grid less complicated. Zerhusen says there were components specifically designed into the wind farm infrastructure—given the intermittent nature of the power generated from the project—to ensure that the new electrical energy it produces will be reliably transmitted into the existing transmission system. Fischer says the Grady community was very welcoming to the project, and he predicted a bright future for additional renewable energy development in New Mexico. "I think there will be continued growth in renewable energy in the state, and certainly they have the resource capacity for both wind and solar," he says. The strength of the wind resource, which Fischer compared to prominent wind resource areas like the Texas Panhandle and Oklahoma, and the timing of project construction presented the biggest challenge to Signal Energy on the Brahms project as it worked to meet BayWa r.e. 's aggressive timetable. Fischer says that autumn and winter are the times of year when the wind tends to blow with the greatest force in that area. So they had to monitor the weather carefully and be selective on which days they set up cranes to erect the towers and install the turbines. He said their ability to contract, complete design, and construct the project in only three-and-a-half months is almost unprecedented in the industry. Fischer described Signal Energy's preconstruction value engineering service as unique within the renewable energy construction industry. Regarding the Brahms project, he said,"We went through a number of iterations of turbine types and sizes, road locations, and electrical locations to optimize the overall system design and construction cost." This also included taking soil samples to determine the most stable locations for wind turbine foundations. The company has the expertise on staff to conduct this type of preconstruction evaluation work. Signal Energy ultimately produces designs that allow clients to have a high degree of certainty what their upfront capital costs will be—and also save them money. It is a collaborative process with considerable communication between BayWa r.e. team members and Signal Energy personnel on all three projects Signal has constructed for their client, resulting in project designs that were right-sized and properly equipped for each site. "It also allows us to build the project faster, which is a big savings for the client," says Fischer, with another important benefit being that projects are completed on schedule. This can be a critical factor in many renewable construction projects, especially when issues (e.g., a PTC qualification deadline) are part of the financial equation. Having that preconstruction work completed in advance will sometimes determine whether a project will proceed, if it must be completed within a very defined window, which was the case on the Brahms project. "Smart developers and very sophisticated buyers of projects like BayWa do reach out to the subject matter experts, ask questions, and value the solutions where we all share in the savings," says Fischer. "By bringing in the right experts, the right pieces, to the right places, you can create value that otherwise would not be there." By making this service available to its customers, it has also generated considerable repeat business for Signal Energy. San Diego-based BayWa r.e. has five wind projects either in production or under construction in the U.S. and names its projects after famous composers; other projects have names such as Chopin, Mozart, and Wagner. 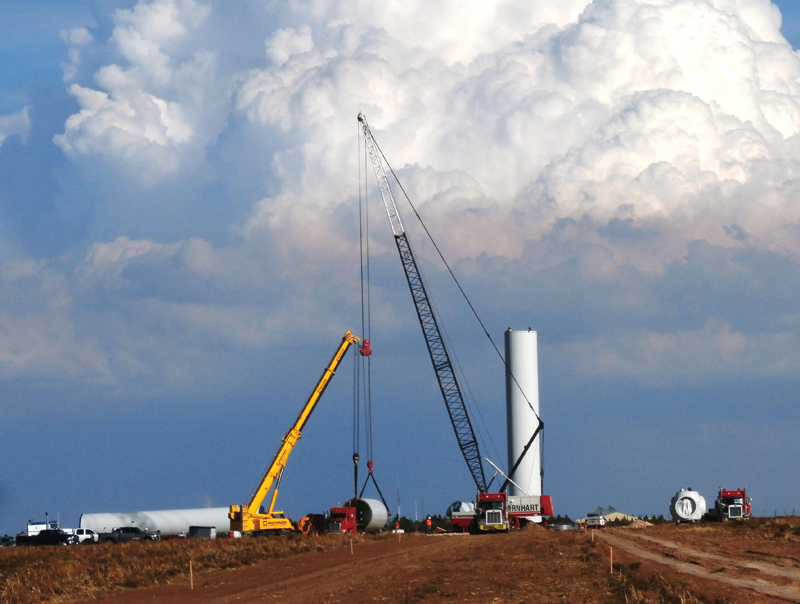 The main component suppliers on the Brahms wind project included California-based Dressel Enterprises, which supplied the deep pier foundations that extend about 30' into the ground to anchor the wind towers, Vestas for the wind turbine components, and Virginia Transformer Corp. for the power transformer. Zerhusen says the state and local governments were "fantastic" to deal with, and both were very pleased that BayWa r.e. was able to make the project a reality because it had been in the planning stages for quite some time. "They understand that this is something that is not only good for those landowners who have turbines located on their property, but also for the community at large," says Zerhusen. "They also understand that renewables are definitely going to be a part of the energy mix not just in New Mexico, but in the U.S."
While the company's participation in the PILOT program will benefit local communities, it will also benefit BayWa r.e. "We make payments in lieu of taxes to allow the project to become a little more economically viable," says Zerhusen. "These are very-slim-margin projects, generally speaking, and any dollar you can save on the project is needed to make them successful." One concern with wind energy projects is the potential impact they might have on bird populations, particularly along migratory routes as well as the sound vibrations from the turbines having a negative impact on bats. Zerhusen says neither of these were issues on the Brahms project. "We have been looking at that very closely, and fortunately this site is very favorable for wind development and has very minimal, if any, impact on the environment," he says. Power transmission from the Brahms project started in January, and BayWa r.e. has now moved quickly down the road to begin construction on the Anderson wind project site.